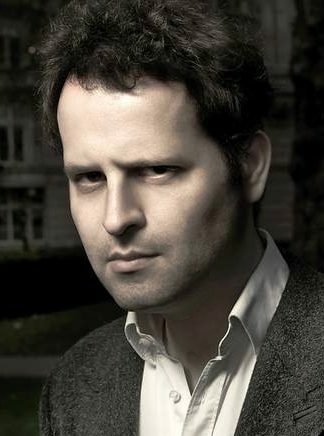 Adam Kay is a British comedian, author, and former doctor. Despite starting on the road to a medical career in the late 80’s, at medical school Adam founded musical comedy group Amateur Transplants and wrote for BBC Radio 4. After working for a number of years as an obstetrician and gynaecologist Adam left medicine for a career in comedy and writing. Kay is writer and co-creator of 2015 BBC Three sitcom series Crims – along with Grandma’s House writer Dan Swimer. Other television work as a writer and script editor includes Mrs. Brown’s Boys, Mongrels, Watson & Oliver, Up the Women, Very British Problems, Flat TV, Our Ex Wife, Who is America?, Mitchell and Webb and Child Genius. In 2017, Adam published his first book, based on his diaries of his former career as a doctor “This is Going to Hurt”, which was highly well-received and quickly became a Sunday Times bestseller. The book was awarded Blackwell’s Debut Book of the Year 2017, Sunday Times Humour Book of the Year, and won both non-fiction book of the year and the overall prize in the 2017 Books Are My Bag Readers’ Awards. Adam’s book was nominated for Non-Fiction book of the year in the 2018 British Book Awards, won Esquire Book of the Year and was a selection of the Zoe Ball Book Club. In 2018, the BBC announced that Kay would be adapting his book into an eight-part comedy-drama for BBC Two. Adam has sold out for six years at the Edinburgh Festival Fringe and also had sell-out nationwide UK tours. He won Best Musical Variety Act at the 2014 London Cabaret Awards and has been named by the Evening Standard as one of London’s most influential people. He has performed songs on the topical BBC Radio 4 series The Now Show and has appeared on numerous TV shows, such as the Russell Howard Hour on Sky One, BBC Breakfast, Lorraine, Peston on Sunday and 8 Out of 10 Cats Does Countdown.